Perez Boats : JimiArt!, excite your soul with art! "Perez Boats" displays the heritage of the latin countryside. The brilliant colors are warm and inviting. 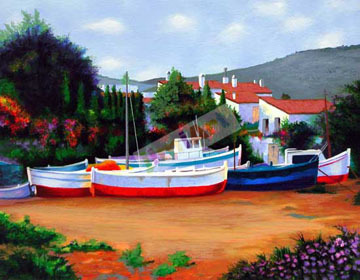 "Perez Boats" is a classic South American landscape.